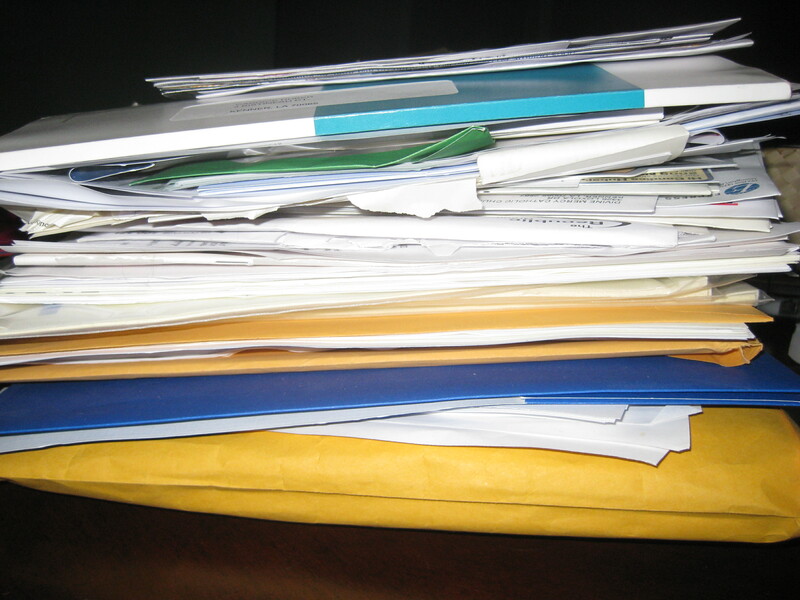 Does your home information stack look something like this? Mine did too until I decided to eliminate the clutter and create a Home Management Binder! Now that we’ve discussed how to initially set up a home management binder, I’ll give tips and ideas on sections to include. 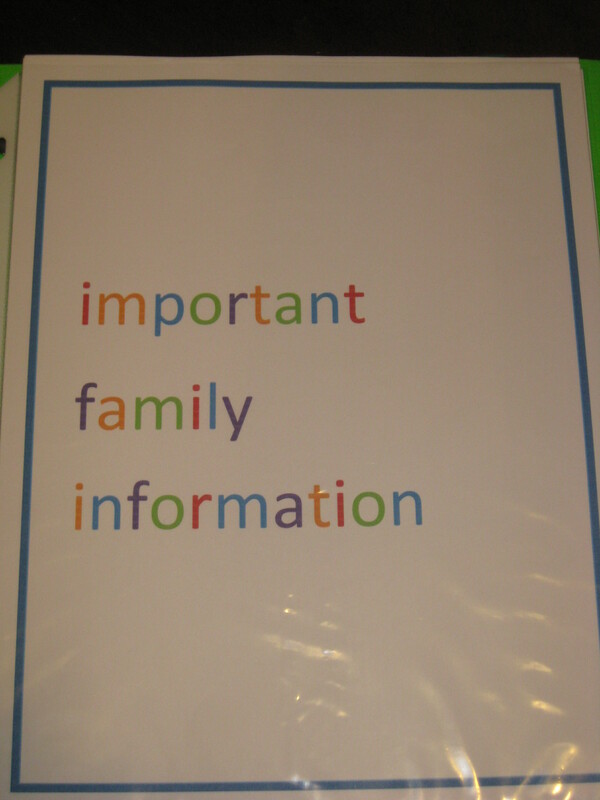 In my personal binder, the first two sections are Important Family Information and Finances. This section includes a listing of important account numbers, pet information, fridge inventory, personal inventory, a gift tracker, and other important information such as home insurance and home warranty. 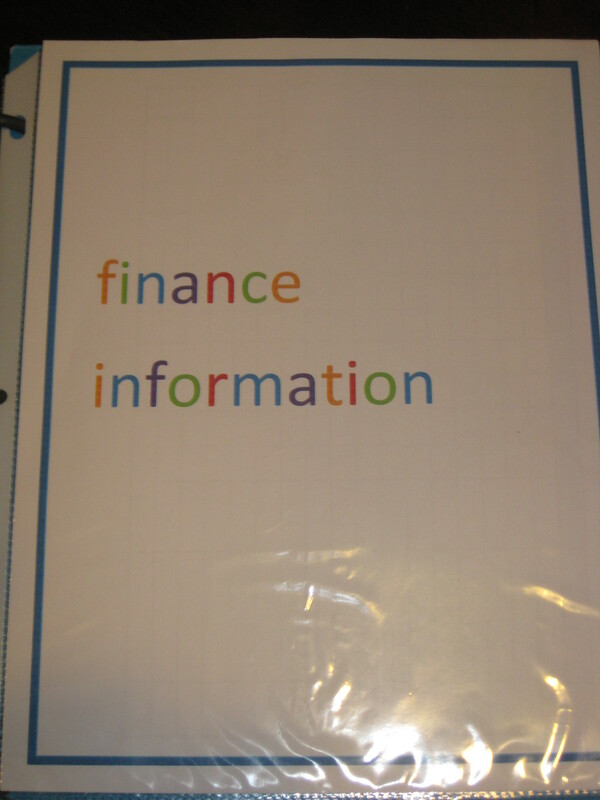 At the start of the section is a folder that holds to-do items such as bills to be paid and things to follow up on (e.g. calling the insurance company). Behind each section is a velcro folder, and in this section, the folder holds my home insurance policy, home warranty information, and flood insurance information. The folder is a “catch all” for anything that is important that doesn’t fit into another area of the section. This section includes my bill payment checklist, monthly Mint.com reports, donation information, and tax information. At the start of the section is a folder that holds receipts that need reconciling along with other to-do items, and in the velcro folder behind the section I keep tax information (W2’s, interest statements, etc.) and reconciled receipts. Mint.com Reports: I’m not going to include my specific Mint.com reports; however, this site provides wonderful insights into where your money is going. The report that most interests me that I print out each month is the spending trends report. This gives me a pie chart of categories where I’ve spent the most money, a listing of the top categories and how much money spent in each, and which category houses the most purchases that month. This allows me to track our spending month to month and set budgets for the things that we spend the most money on. Mint.com allows you to link all of your accounts, e.g. checking, savings, retirement/investments, for free and then analyzes for you. It takes a little while to set up because you need all of your account numbers and info (about 20 minutes for me), but it’s absolutely worth it. Check it out! Note that these sections and the templates included are things that I’ve decided to use because they work best for me. Different people have different ways of organizing, and by doing a quick search on Google or Pinterest, you can find a million different ideas. I’ve used my home management binder for January and so far for February, and I’ve absolutely loved it! It has made organization of simple life things so much easier and by writing down information on these templates, has allowed me to either throw away or archive a LOT of paper. You could also take this 100% electronic and fill out the templates on the computer and keep them stored in a folder. Although I LOVE technology, when it comes to this type of thing, I’m a little old fashioned 🙂 It helps me to remember by writing things down. Stay tuned for the next part of the Home Management Binder series: Health Information, Home Maintenance, and Home Projects! If you missed the first post on Setting it All Up, you can view it here. What are some things that you’ve done to organize yourself? I would love for you to share your ideas here! Tags: Freebies, Home Management, Home Management Binder, Organization, Templates. Bookmark the permalink.